Are you looking for Plantation shutters for your home? Sunstate Blinds and Shutters provides custom design and installation of plantation shutters for residents in Naples and surrounding areas. Our expert staff is here to assist you in the creation of your new look for your home or office. 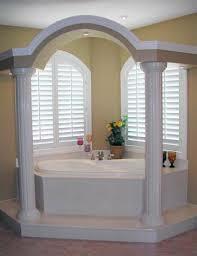 Plantation shutters Naples can add a whole new look new any room. Plantation shutters are made from broad wood/faux wood louvers mounted into a solid frame. this provides an elegant look and offers a variety of advantages and benefits. With the city of Naples growing at rapid pace we our helping many new homeowners with their interior design. Naples is made up of many different types of communities from waterfront high rises to golfing communities and we are here to help create the look and feel you desire. Plantation shutters are a perfect way to go for those who want both functional ease and are also aesthetically pleasing. We carry all major brands from Hunter Douglas to Graber. We can match up colors to fit the interior design of your home or office. We can custom build shutters to fit any size window also any shape. We have many satisfied customers in the Fort Myers and Naples area and they are a testament to our quality work. All of our installers are professional trained and we are a fully licensed and insured company. Plantation Shutters are very poplular in warm climate areas, it allows for a free flow of air and also shade. 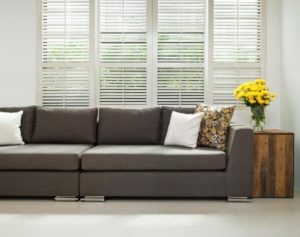 Plantation Shutters are very low maintenance and require little to no upkeep. The average homeowner will only need to dust and wipe fingerprints off of their Plantation Shutters when properly cared for. Plantation Shutters are custom fit for the size and shape of your windows which can help minimize the amount of warm and cold air from escaping from your windows. This can help to reduce your energy costs by making your home more energy efficient. Plantation Shutters com in a variety of slat sizes which can compliment any type of decor. This also allows you to control the amount of light and the view through your windows. Sunstate Blinds and Shutters has proudly serviced all of Southwest Florida with over 20 years of professional experience.